When buying products online, shoppers have to put their trust into eCommerce stores. They have to trust that their information won't be stolen, that the order will go through and that it will be shipped on-time, to the correct location. When a site is slow, not only does it frustrate online shoppers, it takes away the legitimacy of the site and their trust in it. Poor site performance can cost you sales, revenue, customers, and even a high ranking on search engines. 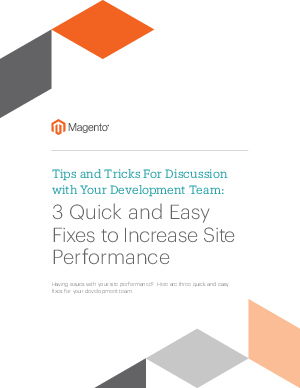 Download the guide to learn how you and your development team can boost site performance.